This entry was posted on January 10, 2011 by Russell Smith. 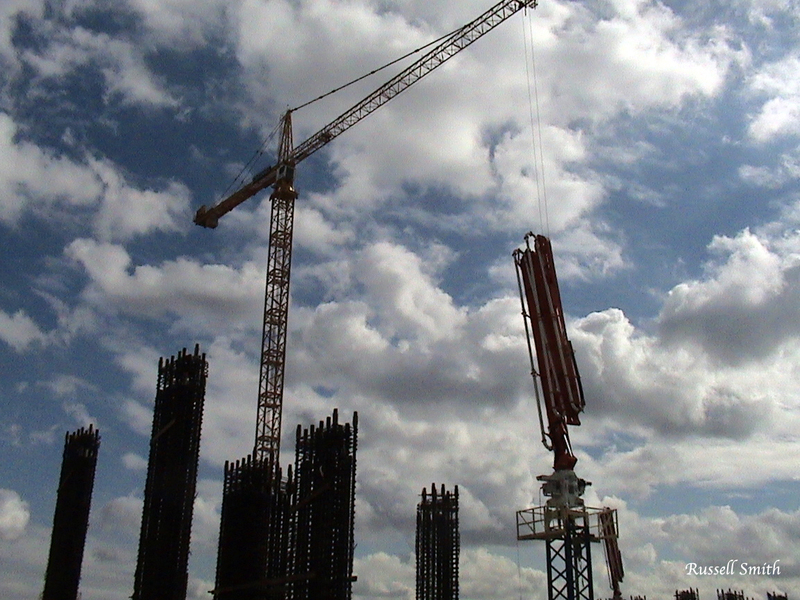 It was filed under Sky, Urban and was tagged with California, clouds, construction, cranes, Los Angeles, postaday2011, USA. Wonders all around us. A metaphor of light and dark. Very futuristic. Brings to mind the Thunder Dome.